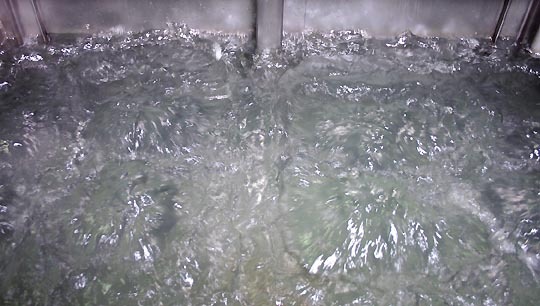 Basic aqueous degreasing is a washing process. Environmentally safe detergents are used in place of toxic solvents. Using milder chemicals requires greater effectiveness from the cleaning equipment. Specifically, to achieve a desired level of cleanliness a sufficient level of mechanical agitation must be provided. 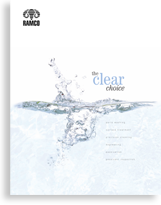 Furthermore, a properly designed aqueous degreasing system will produce results equal to or better than solvent degreasing system and with the benefit of a safe working environment. Platform oscillation is the simplest method of providing mechanical agitation for batch immersion washing of parts. It is an easy and effective way of covering irregular surfaces to reach intricacies such as the inside of hollow forms with detergent solution. Oscillation of the work accelerates the cleaning action. With each oscillation the mechanical force created by moving the work through the solution keeps newly formed emulsions and soaps away from the surface while applying fresh chemical cleaning agents to the newly exposed layers of dirt, thereby speeding the entire action. Platform oscillation is enhanced when used in conjunction with a TurboFilter System. The turbo uses a high volume pump, closed looped manifolds and multiple injectors to direct solution at the working zone. 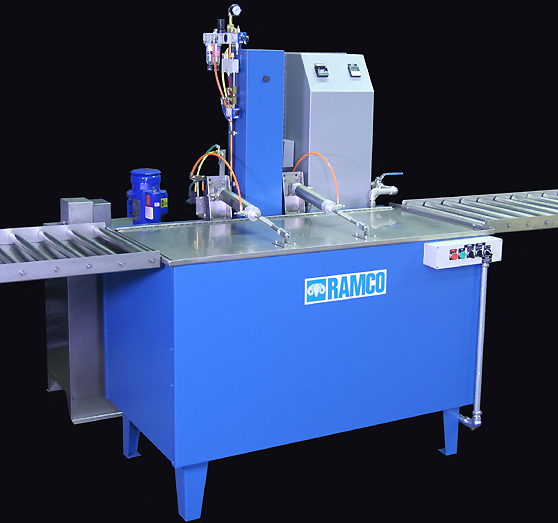 The system provides an even flow of turbulent solution over, under, around and through components. The flow is adjustable. Other features shown include a digital timer to automatically control the process cycle, digital indicating temperature controller, powered pneumatic cover. oil removal System (with SurfaceSweep to prevent floating removed oil from redepositing onto cleaned parts).